A large number of Narmada dam oustees from Madhya Pradesh, Maharashtra and Gujarat thronged on the banks of river Narmada next to the Mahatma and Kasturba Gandhi Memorial in Badwani district of Madhya Pradesh on Saturday to protest against the alleged injustice meted out to them the name of rehabilitation. 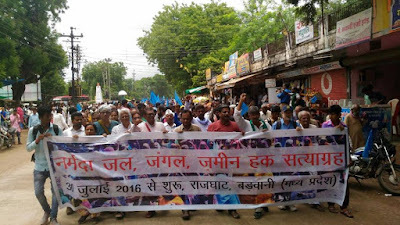 Begun under the banner Narmada Jal, Jangal, Jameen Haq Satyagrah on July 30, 2016 morning with a rally, the protesters highlighted how the Modi government, on coming to power in 2014, took a decision to “impose illegal submergence” by authorizing to complete the dam to its full height 138.68 meters. 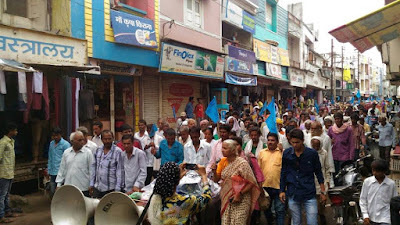 The participants included adivasi oustees from different resettlement and rehabilitation (R&R) sites, who have started an agitation and a relay hunger strike next to the Narmada dam site at Kevadia Colony. They are demanding basic facilities in their sites. Senior activists from 15 states, including Karnataka, Kerala, UP, Odisha, Bihar, Jharkand, Uttaranchal, Gujarat, Rajasthan, Tamilnadu, Haryana, Punjab, Chhattisgarh, Maharashtra and Delhi participated in the demonstration. Prominent among them were Biju Krishnan of Bhumi Adhikar Andolan from Karnataka, senior Gandhian Kumar Prashant who is associated with Gandhi Shanti Pratishthan, Delhi, Dr Sunilam of the Kisan Sangharsh Samiti and Vimalbhai of Matu Jansangathan, Uttarakhand. 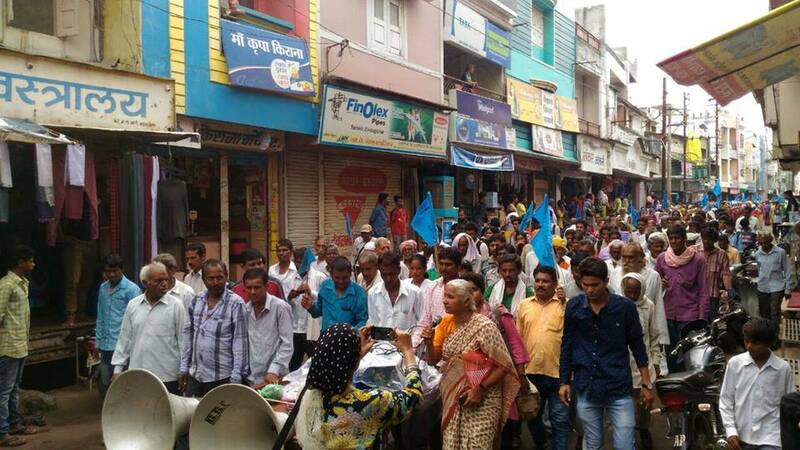 Pointing towards how the proposal to close the Narmada dam’s gates would permanently displace more than 45,000 families, mostly adivasis, across 244 villages and Dharampuri town in the states of Madhya Pradesh, Maharashtra and Gujarat, they said, they faced “the grave risk of submergence of their farms and households”. Referring to the Justice Jha commission report, which is said to have exposed thousands of crores worth of corruption in rehabilitating Madhya Pradesh oustees, BR Patil, independent Karnataka MLA and ex-deputy-speaker, regretted it has not been made public. “It needs to be discussed in the assembly and among the general public”, he said. 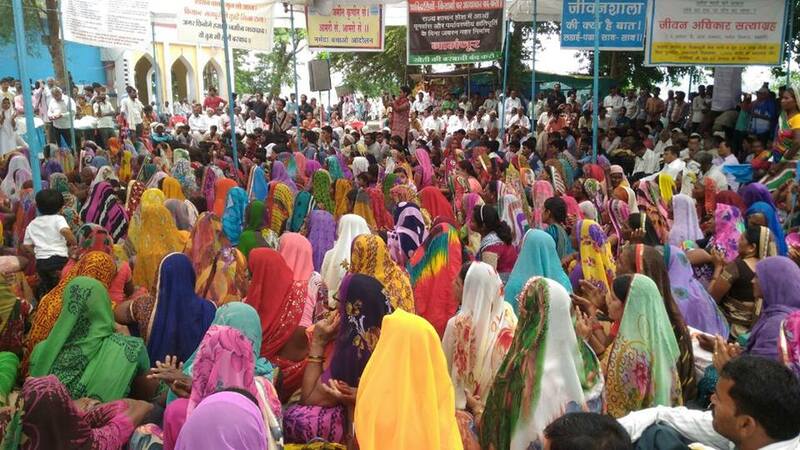 The protesters said the claims about irrigation and drinking water benefits have proved untenable, with only 30-35 per cent irrigation canal network built in Gujarat. Other issues highlighted included the decision to decommand four lakh hectares (ha) of land of the 18 lakh ha the proposed Narmada command area, how this was being done to favour industrial and investment activities in the Delhi-Mumbai Industrial Corridor (DMIC), and how the state government had agreed to supply 30 lakh litres of Narmada water per day to Coca Cola and 60 lakh litres to car industries. Your website offered us with valuable information to paintings on. You have done an impressive task and our whole group will likely be thankful to you.